Produced by John Hill and Kid Harpoon (Florence + The Machine), “Giant” premiered yesterday after an exclusive interview with Zane Lowe’s Beats 1 program: http://apple.co/_BanksSteelz. “Giant” follows the first look from the August 26th album, “Love and War.” Watch the Arms Race-directed video HERE. 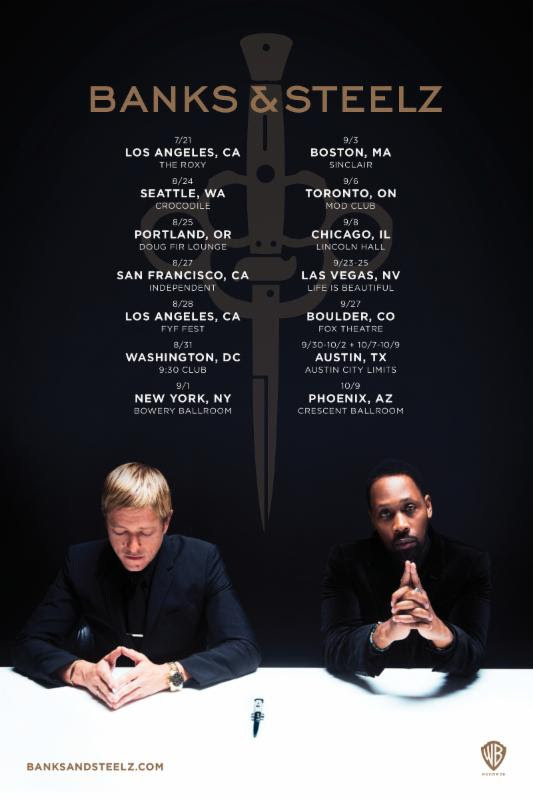 Banks & Steelz simultaneously revealed the album’s track-listing – which features appearances byFlorence Welch of Florence + The Machine, Kool Keith, and Wu Tan Clan’s Ghostface Killah, Method Man, and Masta Killa – in addition to a series of tour and festival dates through October (see below).